Manufacturer of a wide range of products which include single cyclone powder coating booth, stainless steel powder coating booth, ss walk in powder coating booth, mild steel powder coating booth, powder coating booth and batch type powder coating booth. 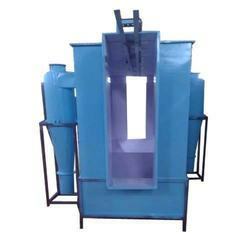 We are offering Single Cyclone Powder Coating Booth which is economical and is recommended for low volume production. 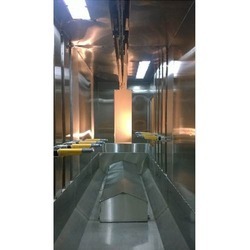 By keeping track of current market development, we are offering an excellent range of Stainless Steel Powder Coating Booth. Our professionals manufacture the offered booths utilizing utmost-grade raw material and high-end technology. Apart from this, our quality controllers perform a series of testing procedures at every stage of production to eradicate any possible defect from. Clients can avail the entire booths from us in multiple specifications as per their requirements. 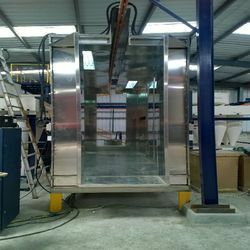 By utilizing skills of our experienced professionals, we are manufacturing, exporting & supplying a comprehensive assortment of SS Walk In Powder Coating Booth. With firm commitment to quality, our organization is manufacturing, exporting & supplying a wide range of Mild Steel Powder Coating Booth for our clients. Manufactured using premium quality raw material, this product is highly demanded by our valued clients. Our dexterous team of experts makes use of updated technology and modern tools to design this product as per set international guidelines. Our esteemed client can avail this product from us at market leading prices. By utilizing skills of our experienced professionals, we are manufacturing, exporting & supplying a comprehensive assortment of Powder Coating Booth. 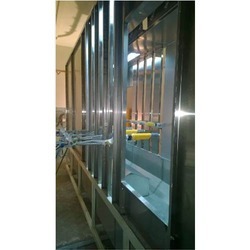 By utilizing skills of our experienced professionals, we are manufacturing, exporting & supplying a comprehensive assortment of Batch Type Powder Coating Booth. Riding on unfathomable volumes of industrial expertise, we are engaged in offering an excellent assortment of Powder Coating Booths. These booths are manufactured by our dexterous professionals using premium quality raw-material and sophisticated technology. Clients can avail the entire range in various specifications that can be also easily customized as per the specific need of the client. Apart from this, clients can avail these booths at the affordable price. MOC of Booth: SS & CRC Powder Coated Panels. Operation Compatible: Manual & Auto Reciprocators Type. Recovery Type: Multi / Mono / Cartridge Recovery Systems. 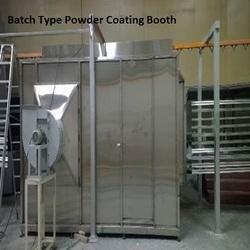 With the help of our team of professionals, we have been able to manufacture & supply SS Powder Coating Booth. 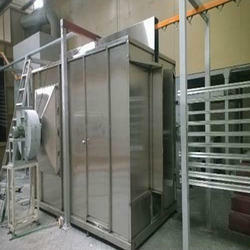 Used for production batch finishing, these booths are designed and developed in tandem with the international quality standards. Reduce dust problems, paint dust and increase corrosion resistance, these booths are available in various models and specifications. 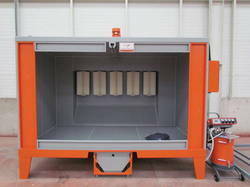 Looking for Powder Coating Booth ?